Generic Contractubex - one of the best medicine against all types of scars. It facilitates the process of skin recovery by averting excessive scar tissue formation from the inside. It inhibits itching, redness, feeling of tension of epidermis; cures the scarred tissue by making it more elastic and smooth. 10g × 1 gel $ 26.95 $ 26.95 Buy Now! 10g × 2 gel $ 20.48 $ 40.95 Buy Now! 10g × 3 gel $ 18.65 $ 55.95 Buy Now! 10g × 4 gel $ 17.49 $ 69.95 Buy Now! 10g × 5 gel $ 15.79 $ 78.95 Buy Now! Contractubex is a highly effective treatment for all scar types. It actively promotes the healing process of the skin and reduces scarring from within. For best possible results, start treatment as soon as the wound is closed or the stitches are removed. 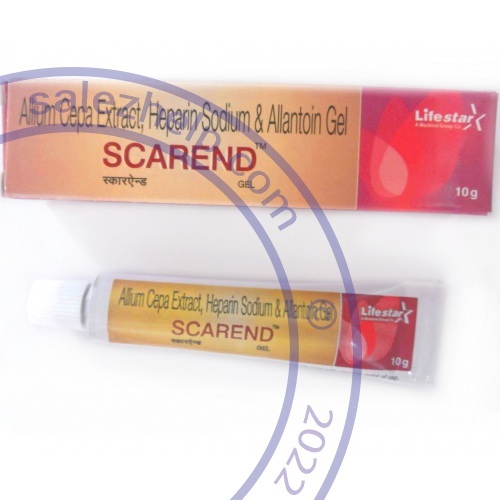 This ensures that your scar will become so fine that you will hardly see or feel it. You can start the treatment with Contractubex as soon as the wound is closed or the stitches have been removed. The transparent gel contains active ingredients that support the healing process inside the skin, regulating the production of scar tissue and working to positively influence scar formation. has anti-inflammatory and bactericidal properties and prevents the formation of excessive scar tissue. softens the tissue structure, has anti-inflammatory and anti-swelling properties, supports cell and tissue regeneration and is able to bind water to the scar tissue. encourages wound healing and has a softening effect, promotes penetration through the skin and relieves the itching often associated with scar formation. The sooner a scar is treated, the greater the chance of positively influencing scar formation. Start applying Contractubex as soon as the wound is closed and/or any stitches have been removed. The clear gel is easy and safe to apply. Ideally, Contractubex gel should be gently massaged in 2 to 3 times daily for at least 3 months. Contractubex forms a discrete film that protects the sensitive scar tissue. Apply Contractubex only to wounds that are already closed. Avoid contact with eyes, the inside of the nose or mouth and other mucous membranes. Start at the centre and work towards the edges, massaging the gel gently into the scar. Continue with a small, circular motion until Contractubex is completely absorbed. Scar treatment needs patience, as the injured skin takes time to heal. After about 4 weeks, a reduction of redness can usually be observed; after two months, the scar tissue gradually becomes lighter, more elastic and flat. Contractubex is very safe and its tolerability has been proven in numerous clinical studies. Small children and even babies can be treated safely. The treatment can also work on scars that are older. With older scars Contractubex should be massaged in 3 times daily for at least 6 months. Wounds are injuries of the skin and stay with us our whole lives. Most wounds are harmless and are quickly forgotten. Nevertheless, they leave marks on our skin: a scar. The resulting scars are also as diverse as the types of injuries. Some scars are barely visible, while others may hurt or even cause physical impairments – for example, in range of motion.